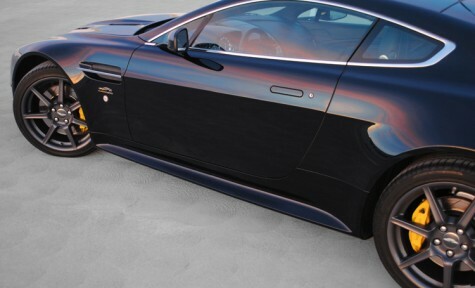 Developed for the Aston Martin V8 Vantage, the V12 Vantage side skirts hint at their sporting intent offering a lowered look, and purposeful stance. The V12 Vantage side skirts are not just a cosmetic upgrade; they are designed to enhance the cars dynamics. The side skirts improve down-force while not increasing the drag coefficient of the car.